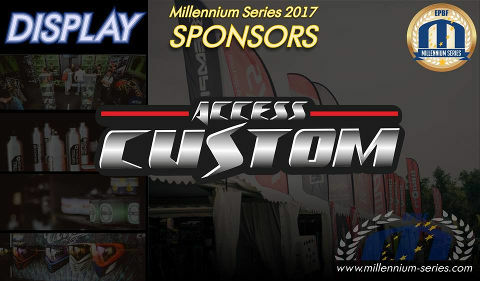 We welcome Access Custom as our Display sponsor again! Please visit them at www.access-custom.com to check the sporting clothes they produce! 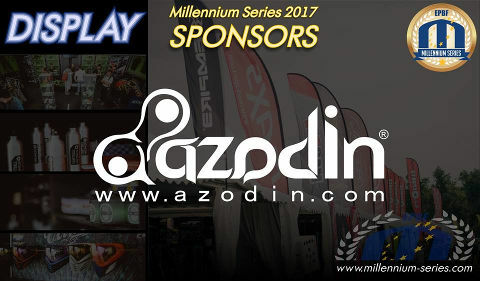 We welcome Azodin as our Display sponsor! Please visit them at www.azodin.com for more information! 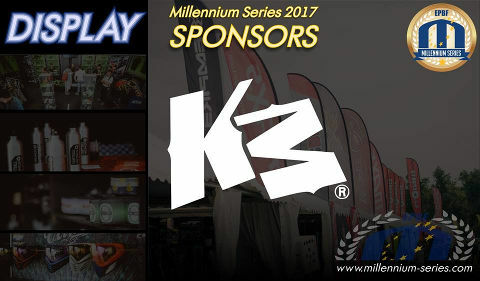 We welcome KM to be our Display sponsor! Please visit them at kmstraps.com to see what the offer! 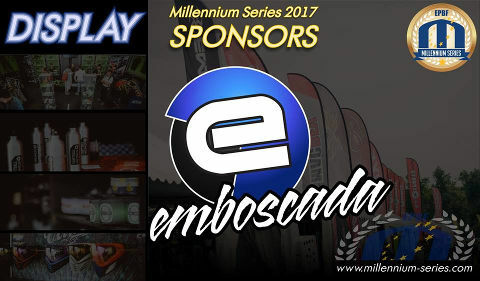 We welcome Emboscada as our Display Sponsor! You can visit them at www.paintballemboscada.com so see more! We welcome Planet Eclipse as our Display sponsor this year! 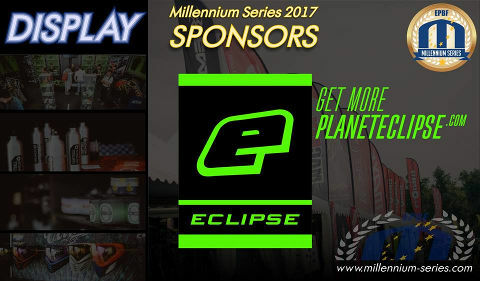 "Planet Eclipse is once again proud to Sponsor the Millennium Series. 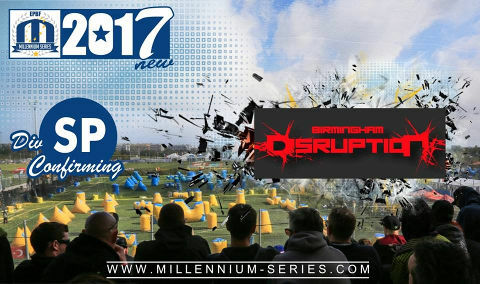 Our primary goal is to provide our players with the support that they need to compete on Europe's biggest and most exciting paintball stage. The Planet Eclipse Pro Techs will be on hand so that all of our teams can focus on the thing they do best. Winning! Planet Eclipse... We Got Your Back!" 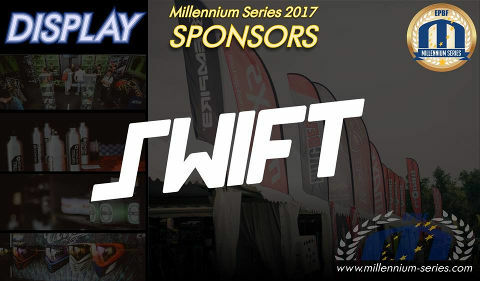 We welcome SWIFT as a Display Sponsor! You can visit them at swiftpb.com to find what it is about! 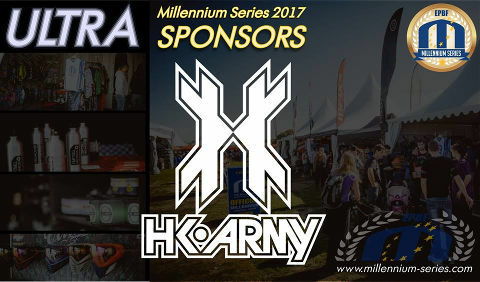 And one more to our Ultra`s company - we welcome HK Army to be the Ultra Sponsor this year! 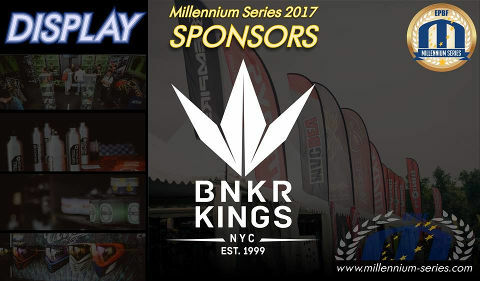 You can visit them at hkarmy.com to see the collection. 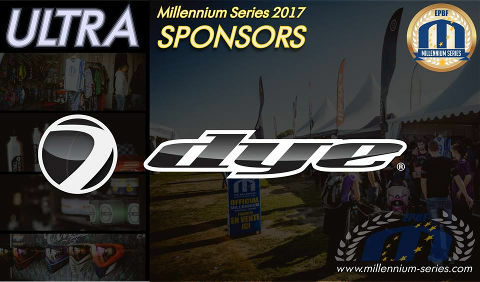 And one more Ultra Sponsor this year - we welcome Dye to be our Ultra Sponsor! 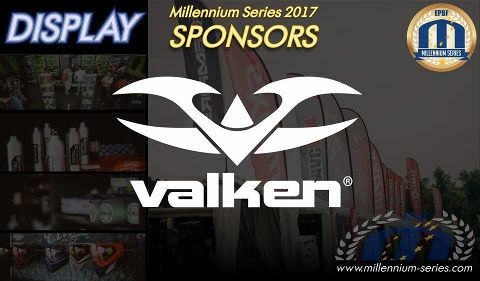 We welcome Valken as our Display sponsor this year! It's a time to present more Ultra sponsors for 2017! 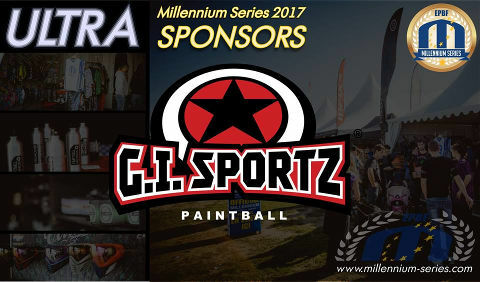 We welcome GI Sportz as our Ultra! Please visit them at www.gisportz.com to see what they offer! 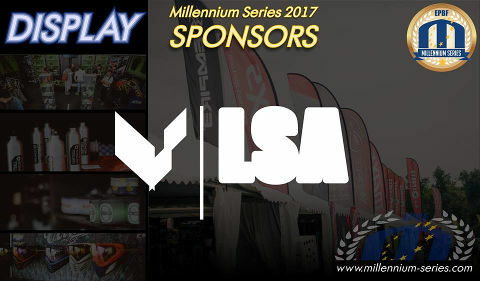 Laysick is our Display Sponsor in 2017! Visit them at laysickproshop.com/collections/all to see the collections! 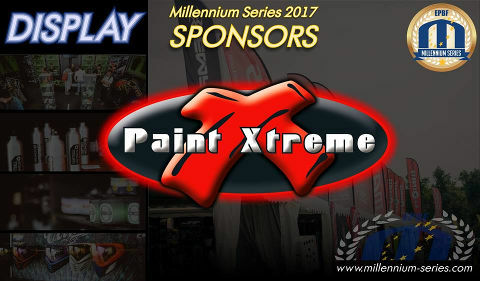 Paint Xtreme will be our Display sponsor this year! 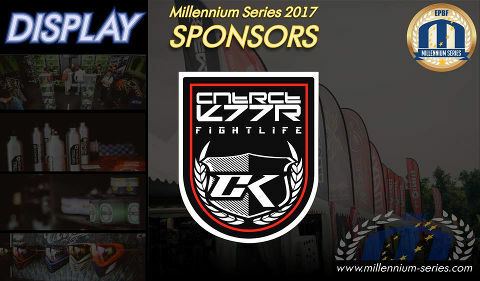 We are glad to have the Contract Killer as the Display sponsor in 2017! Bunkerkings is our display sponsor this year as well! Visit them at www.bunkerkings.com to see the collection! 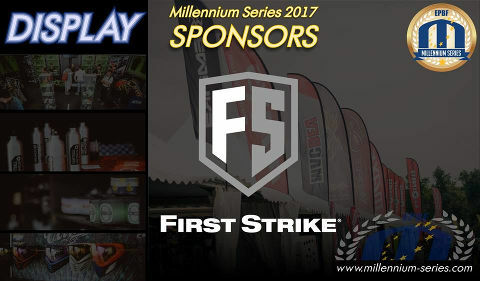 First Strike is our Display sponsor this year! 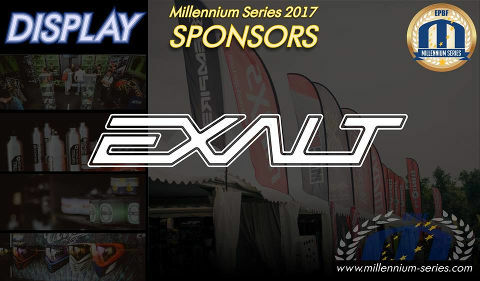 Exalt Paintball will display their products on our events this year! 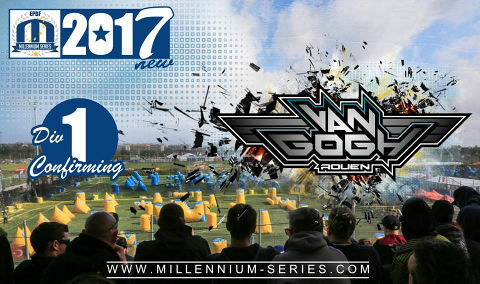 You can visit them at www.exaltpaintball.com to find more information. 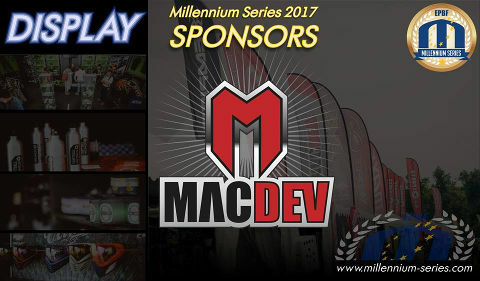 We welcome MacDev as the Display sponsor this year! 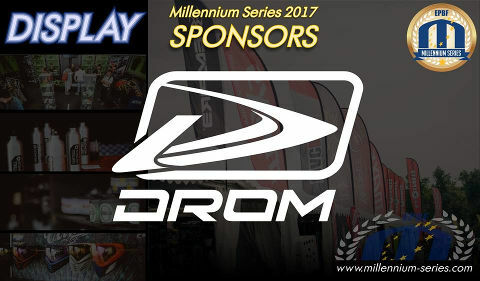 We have also Drom as a Display sponsor in 2017! 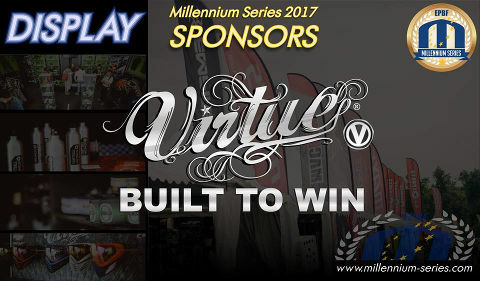 We have Virtue as the Display Sponsor this year! 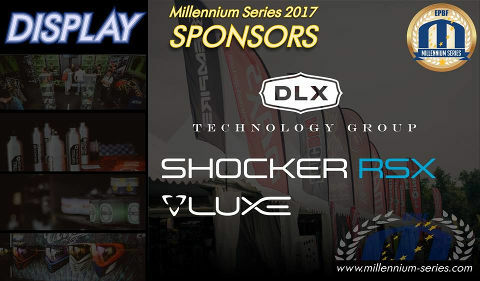 Welcome to DLX Technology Group as the Display Sponsor! 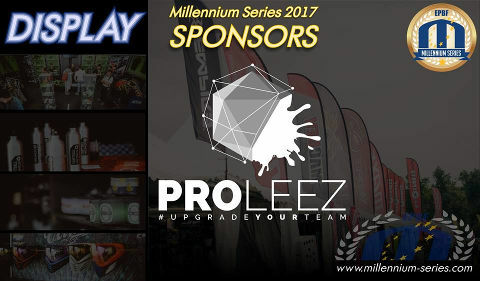 Welcome to Proleez as our Display Sponsor this year! 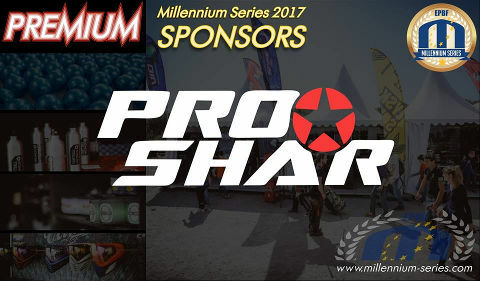 We welcome PROSHAR as a Premium Sponsor! 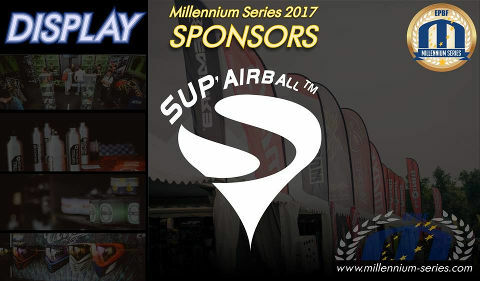 Supairball is a Display Sponsor this year! 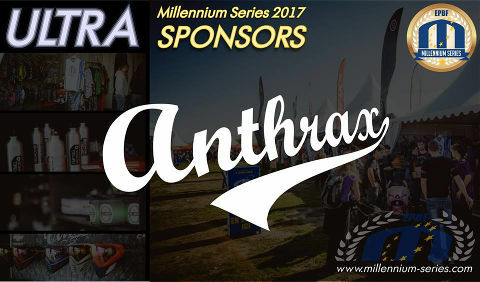 We welcome Anthrax as the Millennium Series Ultra Sponsor again! 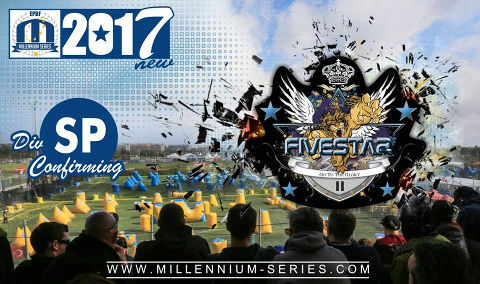 Field One Paintball is a Display Sponsor of the Millennium Series in 2017! 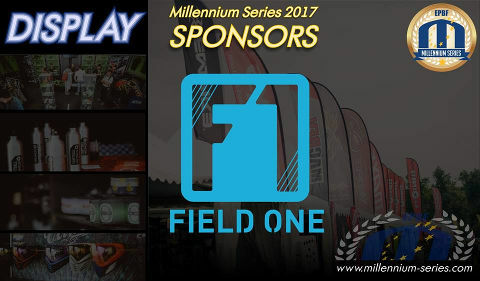 Field One Paintball is proud to announce that they will be a sponsor of the Millennium Series for the 2017 season. Field One Paintball purchased Bob Long Technologies in September of 2016, and is now operating under the name Field One Paintball. 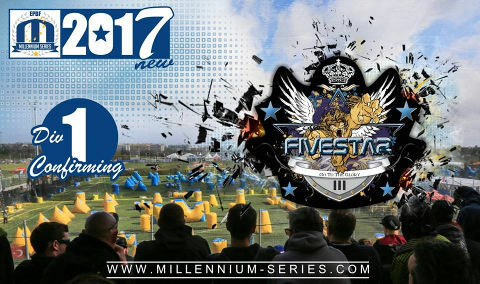 San Diego Dynasty will be exclusively shooting markers from Field One Paintball including the G6R and Onslaught as well as helping Field One develop new markers. We proudly present the very well know Nina as our new official photographer. Everybody playing the Millennium regulary have seen before this very talented lady. 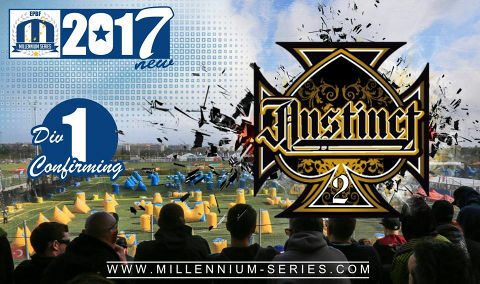 We will see also Ramstein Instinct 2 playing in Division 1 this year! Rouen Van Gogh is to play in Division 1 this year! 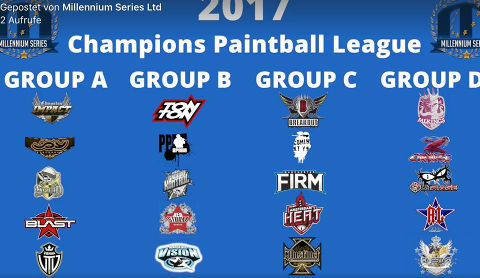 Here's the groups for Champions Paintball League in Puget! You can watch the CPL draw online TODAY 11th March (Saturday) at 5pm CET! The third squad of Five Star Lleida will also play in D1! 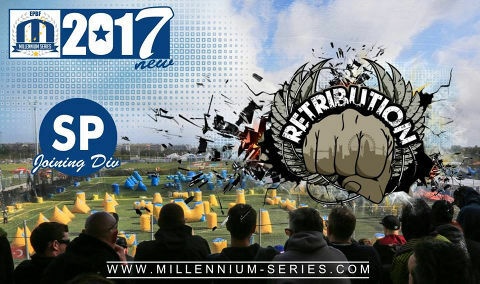 We welcome GI London Retribution to SPL! Good luck, guys! Birmingham Disruption confirms the spot in SPL! 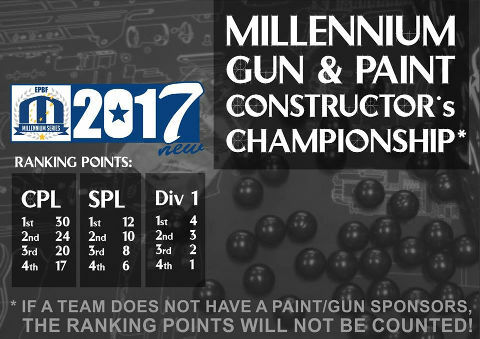 Each registered manufacturer will get points for teams they sponsor or support as per the above table. The list of teams they sponsor or support must be submitted before an event to qualify for points. A team who places in a points qualifying place but is not either sponsored or supported by a manufacture will not be counted. Five Star Lleida is continue playing in SPL - meet their second squad there!